Are you too busy or do you just not like to clean? Is dust building up in your home or office? Contact Austin All Maids and experience a truly professional maid service in Austin. Our carefully trained team provides reliable and comprehensive housekeeping services. We think you’ll agree! Shop Local. We are owned and operated by long-time Austinites. Call now at 512-490-6633 to schedule a cleaning! Use our free online Price Estimator right now for an instant quote. I don’t know who the team was today but seriously they nailed it. My house is so clean I can’t even stand it! The corners, the counters, the vacuuming. Please let the team and their supervisor know that they ROCKED IT!!! It makes our day to her these comments from our customers. We hope to make yours too by doing what we do best – making your home shine. Contact Austin All Maids for a comprehensive one-time cleaning and fall in love with your home again. Let us clear out the cobwebs and make spring cleaning a reason to get your office organized. Call in the professionals at Austin All Maids for cleaning services each month to keep your home or office even cleaner. Our maid service provides customers in Austin with the assurance that their home or office receives a thorough and deep cleaning treatment – from dusting and vacuuming to mopping floors and cleaning counter tops. We make sure all your grime is gone, cobwebs disappear and carefully clean every surface and corner – the extra places you don’t have time to clean. Our maid service makes your home or office in Austin and surrounding communities spotless each month so keeping up between cleanings is easy. If you just don’t have the time or want to clean, we’ll maintain a clean home for you with bi-weekly maid service in Austin. Let us clean every surface and floor with professionals who pay close attention to detail. Rely on our maid service so you can focus on family, fun, or work if you must. If your hectic lifestyle or the everyday demands of a full work and family schedule leave no time to clean up, rely on Austin All Maids for weekly maid service in Austin. Our professional housekeeping service provides you with the time to juggle life’s busy schedule, to squeeze in that last minute get together with friends, or to schedule a meeting with clients without the worry of dirt build-up in your home or office. Let our housekeeping professionals attend to those special cleaning challenges like pet hair removal. Our housekeeping professionals cut through grease and grime so your kitchen glimmers and shines. We’ll get to the details like cleaning the inside of the microwave and shining your stainless steel. Let our maid services restore luster to your kitchen. Keep your bathrooms free of mold and mildew with our professional maid services. Our housekeeping professionals will scrub and polish every floor, toilet, tub, shower, sink, and mirror so your bathrooms shine. Call Austin All Maids today at 512-490-6633 for a complimentary cost estimate – or use our free price estimator for an instant online estimate for maid services in Austin and surrounding communities. Go ahead — take advantage of us! With our Referral Program you can get free cleanings with combined referral discounts. Referring us to your friends and family is a huge compliment to us, so we’d like you to take advantage of our offer and keep spreading the word. We’ll reward you for telling your friends, neighbors, coworkers, and relatives about us. Just one referral starts the savings. So, take us up on our offer for a well earned savings and start talking about us. Click the Refer-A-Friend icon for details. Our top priority is your complete satisfaction with Austin All Maids cleaning services. If you are not completely satisfied with our housekeeping, simply call us within one business day of the cleaning service and we’ll schedule a return visit at no additional cost to get the job done right. Rely on Austin All Maids cleaning service and be assured of quality results with our no hassle guarantee. 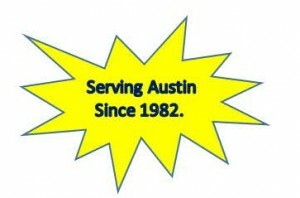 Call Austin All Maids at 512-490-6633 today for more information or to schedule our professional housekeeping services.